The item you receive may vary. Item is new. No other accessories included. Not all units include screws and instructions shown in photos. Praktisches Skiwax Set mit SmartWaxer und zahlreichem Zubehör. .
BOSTON BRUINS. MARK SCHWARTZ. CLEVELAND, OHIO, USA. NEW DRYGUY Travel Dry DX Portable Shoe Boot Glove Heater Forced-Air Ski, Hunting. Condition is New. Shipped with USPS Priority Mail. Manufacturer's Part Number: 56121. Their extension lock design provides a secure structure that allows an officer to stabilize without impact. For this reason, Rigid cuffs are ideal for courtroom or airline restraint. ASP Centurion Handcuff Cases are a benchmark blend of the finest materials and a clean, functional designs. Each ASP Centurion Case incorporates an integral back pocket. The key pocket is placed out of sight on the back of the handcuff case. 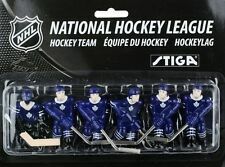 TORONTO MAPLE LEAFS. MARK SCHWARTZ. CLEVELAND, OHIO, USA. Wakeboard, Wasserski, Mode, Boardshorts, Shorties,Neoprenanzügen, Brillen, Bindungen, etc. Diamantstein zum Abziehen. 2 Stück P-Tex Kerzen zum Kratzer ausbessern. DE 257230052. Unser Service für Sie. These are GREAT goggles with a lot of high end features, perfect for any lady wanting the best fit and look around. For more details on the goggles, direct from Scott's website, see below. The Scott Avie Goggle is a new addition to the 2014 Scott Goggles collection w a classic look & feel coupled with Scott Fit System that allows you to customize the fit to your face. Manufacturer's Part Number: 56139. Federal cases have an inset back and pull through retention strap. Each ASP Handcuff case incorporates a key pocket. 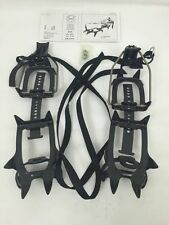 Carries ASP Chain style handcuffs. WARNING WARNING:� This product can expose you to chemicals including TDI, which are known to the state of California to cause cancer and birth defects or other reproductive harm. 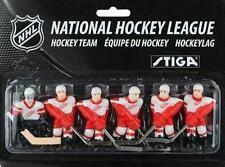 DETROIT RED WINGS. MARK SCHWARTZ. CLEVELAND, OHIO, USA. (Item Markings: Volvo(made in sweeten)9204956:Part number.). We are not able to make any exceptions to this policy. Cook's Corner (242). We will not send a combined invoice unless it is requested. Hanger allows 2 sticks to be displayed in a crossed position. Note: sticks in ad are for demonstration only and are NOT included. Made in USA. For more details on the goggles, direct from Scott's website, see below. Designed specifically for a woman`s face the Radiant incorporates Scott`s new Natural Light lens, allowing for clear and complete vision anywhere on the hill in any weather. SKINSTAR UNIVERSAL-WAX All IN ONE BLACK EDITION Skiwachs. Vielseitig einsetzbaresHigh Performance Skiwachs. 4 Stück SKINSTAR UNIVERSAL-WAX BLACK EDITION Skiwachs Riegel (4x250g). Einfach auf demBelag tropfen und einbügelnsuperschnelle Universal Wachs Mischung. Manufacturer's Part Number: 56137. ASP Handcuff Cases are a benchmade blend of the finest materials in a series of clean, functional designs. Each case incorporates an integral back pocket and auxiliary handcuff key. THE guide to ice climbing in the Catskills! 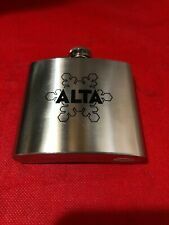 These won’t be available to send out until just after Christmas. ISBN 978-0-9747067-3-3. • 8 New Areas. ATLAS JR 18 Snow Shoe for children up to 80 lbs. These snow shoes are used but still in great condition. I try to disclose any details that may be of interest so you will know what to expect. Professionelles und hochwertiges Rotorbürsten Set mit einer Nylon-, Rosshaar- und Bronze-Kupfer Rotor-Bürste sowie eine Sechskant-Achse in hochwertiger Edelstahlausführung inklusive Arbeitsschutz. Professionelles und hochwertiges Rotorbürsten Set mit einer Nylon-, Rosshaar- und Bronze-Kupfer. Set of Matching Side-Mirror Covers. Protective Wiper Blade Cover. Condition: New. All Products are well-inspected and tested for condition and functionality. 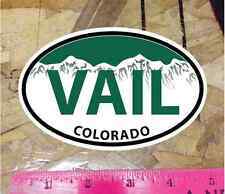 Universal Size, Fits Most Cars, Trucks, SUVs and Minivans. SALOMON FOUR SEVEN PHOTO BLK. Il Four Seven Photo presenta un fit anatomico unico e lenti fotocromatiche che si adattano alle mutevoli condizioni di illuminazione. Il sistema Airflow è progettato per fornire il giusto equilibrio tra l'interno degli occhiali e la circolazione dell'aria fresca. Made in USA. Installation Hardware Included. 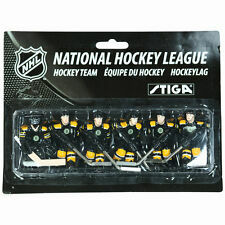 We have the hard to find D-Gel broomball sticks from Canada. Made with first quality Maple. Durable Water Repellant. 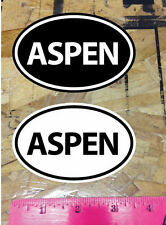 We serve as an outlet for the cycling and outdoor community to turn over their no longer needed gear. We believe in gear, and the rush it gives us. We are gear junkies. There, we said it. Great looking ski snow boots! Size: Labelled as a size 38-40. This is the EU sizing and would equal UK 5 -UK 7. Navy blue with relective silver logo running around boots and on back. Made from 1000 denier Cordura with heavy 4″ nylon strapping sewn in to protect your studs from the outside world. Velcro closure, with 1″ elastic around the edges for a perfect fit. No bungies or hooks to get caught in your spokes. 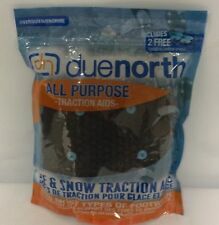 Brand New, never opened DueNorth Ice and Snow Spikes All Purpose Traction Aids. Size oversized fits bulky/oversized footwear 10 or Standard footwear 13.5-15 New tread design and repositioned Ice Diamond spikes provide more comfort under the foot and improved traction. Textured lining grips footwear and helps keep traction aids in place. Geometrically designed webbing and improved shape comfortably fit a greater variety of footwear. Special rubber compound maximizes durability while maintaining elasticity in subzero temperatures. Includes 2 free Tungsten Carbide Spikes! Get-A-Grip before you slip!! ~ Reduziert Müdigkeit und technische Schwierigkeiten beim Lauf. ~ Extra leichtes Material/ Geeignet für jedes Terrain, für Lang,- Auf- und Abwärtsläufe auch im Puderschnee geeignet. ~ super Qualität zum kleinen Preis ~. Hang them up! This gravity wall mount rack is what you need as your board storage solution. Get your boards organized, out of the corner and off the ground. Newly handcrafted in fine-sanded pine with pre-drilled holes for mounting to wall.